After seeing Star Wars for the first time you undoubtedly wanted an astromech droid to call your own. But building your own fully-functional prop required skills you don’t have, and a tiny two-inch action figure leaves something to be desired. But an Artoo figure as large as the real thing? Now we’re talking. 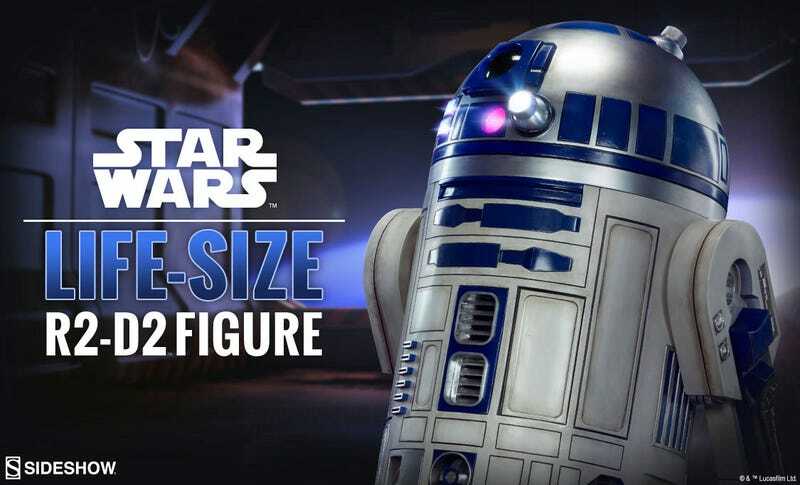 Starting on September 1, when all of the Star Wars: Rogue One toys are expected to be revealed, Sideshow Collectibles will be making a life-size R2-D2 action figure, complete with authentic sound effects and lighting, available for pre-order. That’s about all we know right now, except that it’s safe to assume this collectible is probably going to max out the budgets of even the most dedicated Star Wars collectors.